Being the summer of duh fits RIGHT into the GMen’s wheelhouse! So many stories of the obvious and the inane because otherwise, well there wouldn’t be much of a show based on actual events! 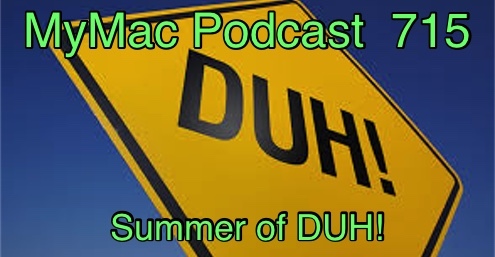 Motley Fool, Adobe, Subscription services, and new MacBook Pros that neither of us can afford round out the rest of the podcast. MyMac Game Show at Macstock!